When I was little, I had a hard time trusting things to be there when I needed them. If you plant the seed and cover it with earth, it was gone. If you put the candy in the drawer, I’ll never have it. If you take this Christmas toy back for repairs, I’ll never see it again. Isn’t that the way we think? Money, food, clean rooms and beauty are all fleeting and much of our driving force is to preserve them. That all changed the day I visited my Mom’s garden after she died. Those Black-Eyed-Susans she planted were thriving, and getting along just fine without her. The grass was growing madly, even though her heart had stopped. Everything in the world was just humming along just fine without her. And, I had thought, all this time, that my mom was more powerful than any flower that fades with the season. After all, she had always been there when the frost came and the flowers had died. Yet, she just vanished… just like that. I saw immediately that I had it backwards all this time. Getting the seeds buried and watered was always more important that the people who needed to receive the flowers once they were blooming. Before I could rate my Christmas, I had to get the toy back. Then, I could decide if it was a good or a bad Christmas. Now, I trust things. I trust that the seeds will grow and produce more than I can handle. There will never be a shortage of candy, and toys can turn into clutter that’s harder to get rid of than it is to acquire. The key is discovering what does vanish. That’s where your treasure lies. 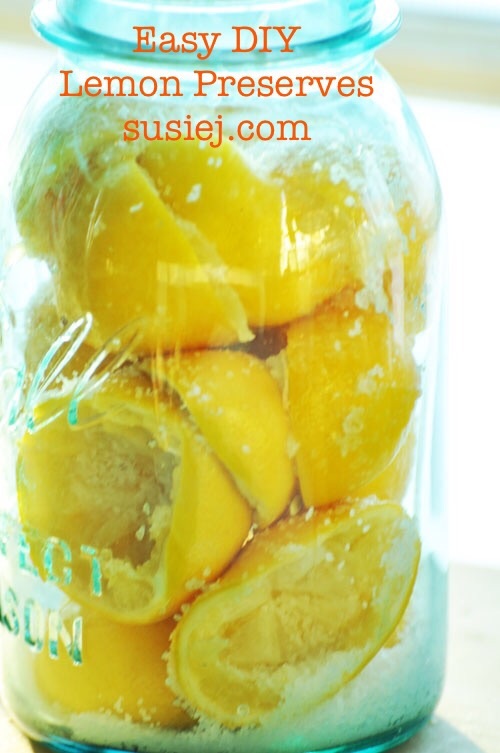 With wild trust and abandon, I preserved these lemons. I trusted them with salt and time, knowing that they would, even if neglected, be perfectly, exquisitely preserved without any fussing on my part. As a nod to my childhood lingering fear, I couldn’t stop myself from stealing a bit of the zest of rind to save for another sweet recipe before I preserved the lemons. 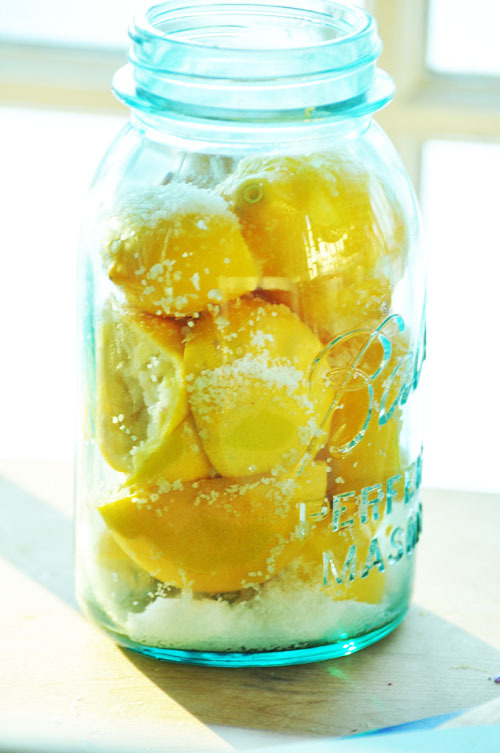 I trust this process of salt preservation so much, that I know these lemons in this jar, could still be here long after my own body turns to dust. Meyer Lemons are in season in the grocery store right now; in a month or two, they’ll disappear. (But that’s different from vanishing… they’ll be back again next year.) And with all the snow and cold weather, I snatched them. 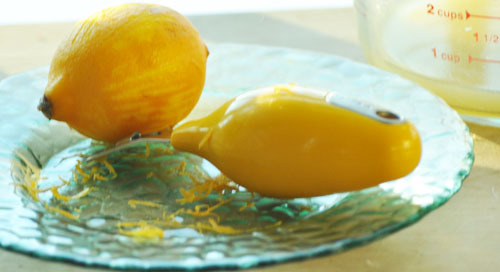 Preserved lemons are a delicacy — they key ingredient found in Moroccan dishes. They are tangy, lemony, and not-as-salty as you would imagine. Once ready, even the rind is edible. If you like baked chicken with lemon, this kicks it up to a whole new level. It’s a flavor that cannot be bought, and yet they are so simple to make. Once you’ve invested the few minutes of time required to cut and salt them, they practically last forever. Unlike the things that do vanish, preserved lemons have permanence. Cut slits in the lemons, and fill them with salt — I have no precise measurements — but you need a lot of kosher or sea salt. Don’t use iodized salt. 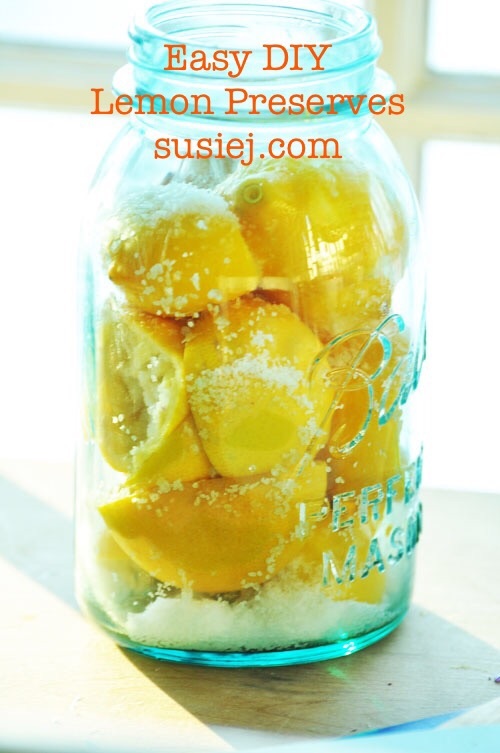 Pack them into the jar, and pour a bit more salt around the lemons. Shake the jar, and seal it tight. Sit the jar on your pantry shelf, turning the jar and shaking it at least once a day for 3 days. Then, move the jar into the refrigerator, where the flavors will continue to develop. After 30 days, the process should be complete, and your lemons are ready to use. Place them around a whole chicken, (add some cloves) and roast the chicken at 425 degrees F for about an hour. You can keep them whole and intact — but if it’s nice to take the whole jar and dump it into a food processor, sifting all the seeds, and turn this into a creamy spread. Put it back in the fridge, and take a spoonful out to add to salad dressings, rice, sauces — and let me tell you it makes a killer salsa. Left in the fridge, the preserved lemons could last longer than a lifetime.